I love the French tradition to embroider monograms on household linens. Such a simple and classic touch. I haven’t done much cross stitch in recent years but I used to do a lot of cross stitching when my kids were small. Cross stitch monograms are fairly quick to stitch. These monograms are from vintage cross stitch charts by French haberdasher, Sajou – I love the style of old copperplate lettering. 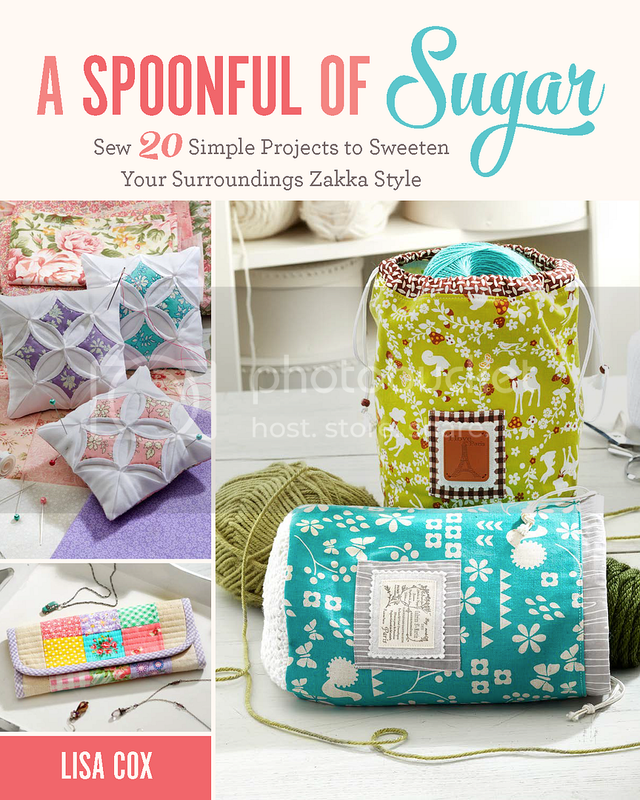 You can find the instructions in the book, Maison Sajou Sewing Book: 20 Projects from the famous French Haberdashery. The classic cross stitch on linen is perfect paired with sweet floral lawn. I stitched these monograms on 25 count Dublin Linen. The spaced linen is fairly easy to cross stitch using two strands of Cosmo embroidery floss. My Cosmo embroidery hoops were the perfect match! I love the blues and greens – so delicate and pretty. The second sachet was in the mauve colourway. These little sachets are filled with lavender and make sweet gifts. They are perfectly sized to place in your wardrobe to keep your clothing smelling fresh. I love the scent of lavender. The beautiful fabric used in these lavender sachets is Memoire a Paris by Lecien Fabrics. This range is due out soon – and is available for pre-order at Ministry of Fabric. Beautiful sachets. I want to learn how to cross stitch, Thanks for sharing your beautiful projects, they are so inspiring. Lovely and so inspiring. I recently made monograms from Les Brodeuses Parisiennes’ ABC linge ancien and I just love it. I recently made some lavender sachets as well as covered coat hangers-from fabric saved from my brother’s wedding! My sister had been a bridesmaid in 1970 and had made her dress from pink taffeta. The leftover fabric had been stored away all this time. When she found it, I got to create something fun! Thanks sounds so wonderful Lois!